Do you want to pay more for a mattress set because it is in a fancy store? Questions or Can't Make these times?? Tired of High Priced Furniture Stores??? Central Jersey Overstock.com is your Online Store for discount, affordable, brand new, high-quality home furnishings. We run our business without the typical HIGH OVERHEAD of a Retail Furniture Store. Unlike retail furniture stores, we do not have a fancy showroom, our advertising budget is minimal and we do not pay high commission sales people. We conduct business out of our 5000 square foot distribution center located in the Raritan Center in Edison, New Jersey. In an effort to further reduce our overhead, we open to the public by appointment only and on select weekends throughout the year for a WAREHOUSE SALE. 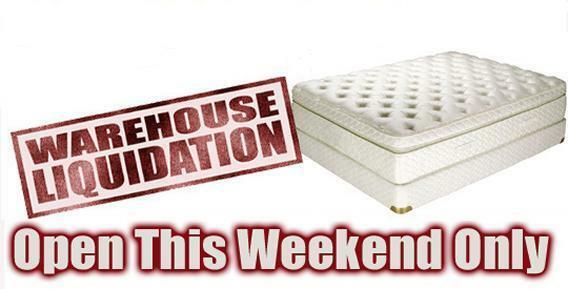 By keeping our overhead low we are able to offer you better prices on furniture and mattresses for your home. CentralJerseyOverstock.com participated in a project with HGTV for their new hit TV Show HOUSE RULES. In addition to Low Overhead, we have worked for many years establishing relationships with many manufacturers, factories, and distributors that allow us to purchase closeouts, overstocks, and discontinued items LESS THAN THEIR NORMAL WHOLESALE COST. We also buy containers, trailer loads, and large quantities directly from the factories, allowing us better pricing than our competition. All of these factors allow us to offer NEAR WHOLESALE PRICING. Simply put, at Central Jersey Overstock.com you will find the same furniture and mattress sets they sell in the stores for 30% - 60% off retail store prices. We are located in the Raritan Center, New Jersey's largest warehouse complex. Our Warehouse is just minutes off the Garden State Parkway, the NJ Turnpike, Route 287, Route 1, Route 9 and Route 35. We have delivery capabilities throughout New Jersey, New York and Eastern Pennsylvania. Since 2002 over 40,000 families saved money on top quality furniture and mattresses for their homes.